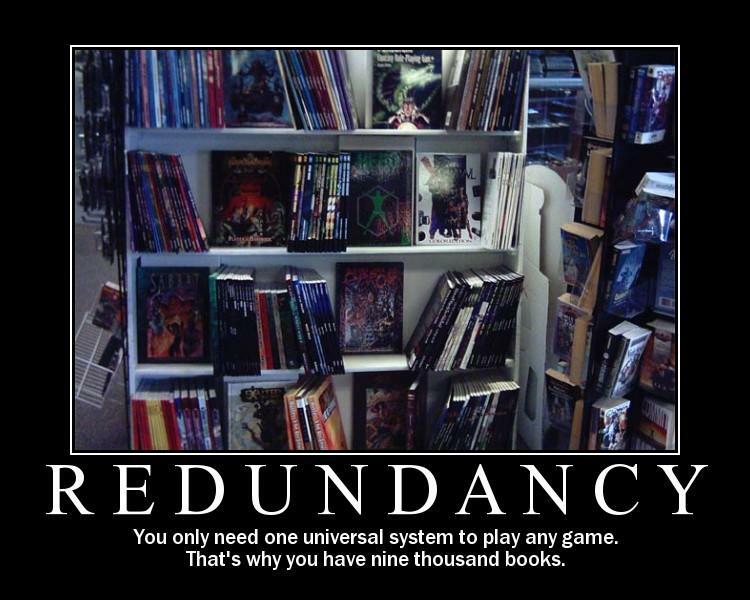 There’s a long running joke in the tabletop community regarding the collection of generic, universal RPGs. Of course, most gamers know that you can buy a dozen games before finding the right one. Sure, anyone can pick up a copy of GURPS, QAGS, Fate, or Unisystem for a game, but that’s doesn’t mean it’s the best system for them or the campaign they want to run. There’s also the issue that not all “universal” games are really universal; they can sometimes do one setting well and that’s it, while others can be vague enough to cover the bases but suffer for anything specialized. With the oversaturated market of universal game systems, where would a new new entry like Forge Engine stand? Disclaimer: A print copy of this title was provided by the author, Justin Halliday, for review. This did not impact the rating of this game or the review. Forge Engine is pitched as a universal RPG that seamlessly allows for gameplay of different eras and genres to mesh together. Are your modern-day soldiers sent into a magically-powered Roman era? Is your smuggler crew trapped on a post-apocalyptic wasteland trying to scavenge parts for their ship? Do you just want a classic dungeon crawl against creatures man was not meant to know? Forge Engine offers a mechanic that’s meant to handle all of these, and then some, for everyone at the table. Forge Engine comes in two formats: a PDF and a softcover book. In book form, Forge Engine weighs in at 288 pages bound in softcover. The pages are matte (not gloss! ), and the book is in black and white. The physical book itself is in what is known as “digest” or “explorer” size, making it rather similar to games like Blades in the Dark or various Fate-based games. As a PDF, the file comes in at just shy of 30 MB, but is only 143 pages. This is due to the PDF being in landscape format and covering two pages at a time. Additionally, the PDF has some color highlights, as it uses a sepia tone for the background and some gold-like colors for tables. The book itself is broken down into three sections, each being roughly one third of the book. The Core Rules covers the game mechanic, the Game Content section covers intricacies of character options and development, while the Game Mastering section is full of tips and advice for running games in various eras and genres. Forge Engine starts off using a tried and true, and all too familiar, mechanic: d10 dice pools with counting up successes. In many ways, the game mechanic is basic, as it utilized the tried-and-true Stat+Skill+Mods. From there, it takes a number of different steps, mainly due to the Energy mechanic and how it impacts combat. Energy is a pool equal to the character’s top three attributes. In combat, every action, from movement to attacking, requires the expenditure of Energy. Like the older Fallout games (and fan games! ), weapons all have an Energy cost to be utilized, but in this game, they add dice to your pool; more “effective” weapons (like a pistol) will have a better Energy-to-dice ratio than inefficient weapons (like a club). Energy is also used to add dice to your pool. When attacking, you normally only get your Weapon dice, but you may spend Energy up to your Attribute to add those dice in, followed by gaining dice equal to your Skill rating, up to how much Energy you spent (i.e. having a Skill of 3 but only spending 2 Energy on bonus dice limits you to 2 dice). Defense, on the other hand, gets Armor + Mods + Energy spent. Each success deals 1 damage to the target. Someone’s about to roll poorly! Outside of how Energy impacts combat scenarios, there is one other notable difference between Forge Engine and other d10 games: opposed challenges. Normally there’s just a standard difficulty (usually a 6-7) that needs to be beat, and whoever scored the most successes “wins.” While flat difficulties are used in non-combat, non-opposed rolls within Forge Engine, the opposed rolls actually use the highest roll of the defender to set the difficulty. With this in mind, if you rolled a 2, 7, and 9 on a defense roll, your attacker needs to roll 9 or better to score a success. Combat also uses Energy to determine how long a round goes; characters take actions, and may use their Energy as they see fit before passing off the Initiative. If they still have Energy left, they may interrupt other actions in defense and can even take attack actions until they are out of Energy. From there, the game follows standard Universal game mechanics; point buy to purchase stats, skills, and special abilities in the form of Traits. One of the best perks of Forge Engine is the cost: it is a free PDF it you want to get started. The print cost of $20 is competitive with other printed universal systems, and since it only uses one type of die, it isn’t too expensive to get into it. On that note, the basis of the core mechanic is easy to grok and could be easy to hack. The opposed roll mechanic adds something different to the standard “who has more successes?” and “who wins ties?” debate, which is nice to see as this very idea has been overdone is so many other games. The Energy system also adds some new life into this tried and true mechanic. For fans of the Fallout games, this is basically the old AP mechanic seen in Fallout: Tactics or XCOM, as it determines how much you can do in a turn. It covers movement, using weapons, and performing interrupt actions, while also being a pool of bonus dice. It’s interesting to say the least! I’m also fond of the book itself, honestly. The artwork is all black and white, but for the most part, it is crisp and interesting looking. I’m loving a lot of the character designs and how most genres are covered; what’s not to love about a universal RPG that actually covers the gamut in character art? And so much of it has personality. The content layout of the book is also wonderful. Unlike most RPGs that cover multiple genres, you won’t need to rifle through forty pages of sci-fi rules to find what you are looking for. All of the core rules are placed in the same spot, making looking up a rule that much easier. From there, things are still easy to find, as setting-specific notes and specialized skills are in their respective locations in the GM section, while the only real era-based breakdown of skills are side-by-side in the skills section. I have to admit, as soon as I fired up the PDF, I gave an audible groan. While the page color (sepia) is nice to read off of, the PDF being in a landscape layout is terrible with tablets or any other “smaller” screen. This format also makes it bothersome to print out a select page or two as the format leads to smaller printing on the page. When using the print version, on the other hand, it is still a bit irksome. While the quality is what I’ve been growing to expect from DriveThruRPG’s PoD service, the layout kills it for me. Specifically, the page numbers are always bottom right (instead of on the outer corner), and the page numbers for the PDF and the book version don’t match. Any time you need a page number, it will either be where it should be or in a crack, and if you are using the PDF as a guide, the page numbers need to be halved (from book to PDF) or doubled (from PDF to book) due to the PDF’s landscape format covering two pages instead of one. As a general reader, I did find it odd that the sample created characters are not complete characters, at least when looking at standard character creation rules. Specifically, not all of the numbers match, as some characters have eleven points in skills, while other have seventeen. Considering the book states you have thirty points to spend, it was a bit odd to see that. One of the things that gives me a headache: number checking and nothing meshing up. Getting hit in the head is another. While the idea sounds simple, the core mechanic is a bit convoluted and takes multiple times to read. Instead of being a standard Stat+Skills+Mods dice pool, we are given the Energy mechanic, which is both the best and worst part of the game. As explained above, Energy is intriguing with how it flows and allows for multiple actions and interrupts, but in the end, it’s just a resource that you need to spend to do anything. It’s also not very well explained, as at times it seems like you just get your basic dice pool (and technically, out of combat, you do) but you really need to spend energy to get dice into your pool in the first place and there’s variable costs. For example, each weapon has an Energy rating which grants a set number of dice (a pistol costs 1 Energy but gives 2 dice, for example), then you spend Energy up to your Attribute rating to add those dice to the pool, and you can only get your Skill dice up to the Energy you spent on bonus dice; the rest are other, external factors. It feels bloated and a bit of an enforced way to keep dice pools small to keep fights going longer. The core mechanic and energy mechanic is primarily based off of combat. In fact, the game is so focused on combat that we we don’t see any non-magical, non-combat, non-genre specific skills, and the entire core mechanic is written with combat in mind, down to Energy costs for every space of moment. For a Universal game that wants to be accessible, it gets a bit tedious and clearly has a specific focus: fighting. Which brings me to the skills: there are way too many skills. In this book, we are given 27 “General Skills” (used in all games), 12 “Martial Skills” (when combining historic with modern/sci-fi skills), 54 “Magic Skills” (individual spells), and an additional 57 “Advanced Martial Skills.” In total, that brings us to 150 unique skills that could be purchased, and some of these “skills” are really just specialized effects. This doesn’t even touch on the idea of custom or genre specific skills, at that, which makes this a frustrating game to build characters for, doubly so when the group is trying to ensure all skills are covered. So which skills lets me get away from this horror? There is also some salt-in-the-wound moments, as the last six pages (twelve in print) reference other RPGs and how many “general” skills there are. Considering that the list doesn’t include edition or what powered it (there are multiple versions of Kerberos Club, Dresden Files, and Doctor Who), nor are the selected editions new (Cortex Supernatural has been out of production for a while, and was replaced with the streamlined Cortex Plus, and we’ll soon have Cortex Prime). This whole section feels like a way to grab at sympathy for having so many skills, but to someone who’s played most of these games, it’s a poor attempt. Finally, as a generic system, I feel that we don’t quite have everything needed to play. Yes, we have a magic system, we have a skill system that can work in any era or setting, and the equipment is robust, but we lack some specifics like vehicular combat (so no pirate ships or starfighter combat), and we are also lacking an Index of any sort to make finding these details easier. Mix this with the aforementioned PDF-to-print differences, and it’s a perfect storm for a headache. We also are lacking in chainswords. As much as I want to give Forge Engine a solid score, I cannot really give it any more than 2.5 buns, and that’s being generous to the new ways to utilize an old (and arguably overused) mechanic, and there’s enough of an argument to drop it down to a 2. As a universal RPG, Forge Engine does exactly what it sets out to you: provide players and GMs with a mechanical framework to portray their adventures within. It has a low entry cost, uses a single die type for ease of use, and has a mechanic that is both familiar and quick to pick up while still being unique compared to many universal RPG competitors. Sadly, the game suffers from design/layout issues, a combat-focused mechanic that lacks some of the more detailed options available in other games, and I felt that this mechanic could have been better explained. It’s a short list of problems, but they heavily hamstring the quality of a game, as the game could have had so much more potential with the right wording, additions, or tweaks. If you are a new player or GM looking for a flexible game with a unique mechanic that doesn’t involve super specialized dice, or if you are an old hand looking for something different, then Forge Engine is worth the read. If you hate d10 games, like vehicular combat, or get easily frustrated with layout issues, then you’ll want to give this a pass. Forge Engine was created by Justin Halliday, the mind behind the 2013 Silver Ennie winning RPG Hero Kids. You can purchase the game via DriveThruRPG, with a print copy running at $19.99 and the PDF being a free download as of this writing. Well, September has a lot going on for me. I have Bonus Round coming up, which I’ll be staffing by running Wrath and Glory for quite a bit of it. Otherwise, I am actually in the process of fixing a house to move into while fixing the place I am moving out of (long story). It really chews into my time, and I need to be out ASAP. This is proving to be a long and expensive process, so I need to take some time off to get my house in order (literally). I might be back later this month, but I will be back in October with some fresh reviews! If you want to see the reviews in as I work on them, consider supporting my Patreon. Otherwise, see you in a few weeks!